The People’s Republic of China, located in East Asia, on the western shore of the Pacific Ocean, is the third largest country in the world in terms of area and the largest in terms of population. Its total area is 9.6 million sq km and its population is 1.2 billion. The territory of China measures some 5,500 km from north to south and about 5,200 km from west to east. China has land borders 22,800 km long, with 15 contiguous countries. The Chinese mainland is flanked to the east and south by the Bohai, Yellow, East China and South China seas, with a total maritime area of 4.73 million sq km. A total of 5,400 islands dot China’s vast territorial waters, including the Taiwan Island, the Hainan Island and others. The population in China is unevenly distributed. Along the densely populated east coast there are more than 400 people per sq km; in the central areas, over 200; and in the sparsely populated plateaus in the west there are less than 10 people per sq km. The population in cities and towns makes up 30.4 percent; and that in rural areas, 69.6 percent. China’s topography is varied and complicated, with towering mountains, basins of different sizes, undulating plateaus and hills, and flat and fertile plains. It is high in its west and low in its east: mountain areas 33.3%, plateaus 26%, basins 18.8%, plains 12% and hills 9.9%. China has a marked continental monsoonal climate characterized by great variety. Most of the country is in the temperate zone, although geographically the country stretches from the tropical and subtropical zones in the south to the frigid zone in the north. The four seasons are quite distinct. The warm and moist summer monsoons from the oceans bring abundant rainfall and high temperatures. China’s administrative units are currently based on a three-level system dividing the nation into provinces, counties, and townships. The country is divided into provinces, autonomous regions, and municipalities directly under the Central Government. A province or an autonomous region is subdivided into autonomous prefectures, counties, autonomous counties, and/or cities. A county or an autonomous county is subdivided into townships, national minority townships, and/or towns. Municipalities directly under the Central Government and large cities are subdivided into districts and counties. The Constitution specifically empowers the state to establish special administrative regions (SAR) when necessary. A special administrative region is a local administrative area directly under the Central Government. At present, China was divided into 23 provinces, 5 autonomous regions, 4 municipalities directly under the Central Government, and 2 SARs, Hong Kong and Macao. 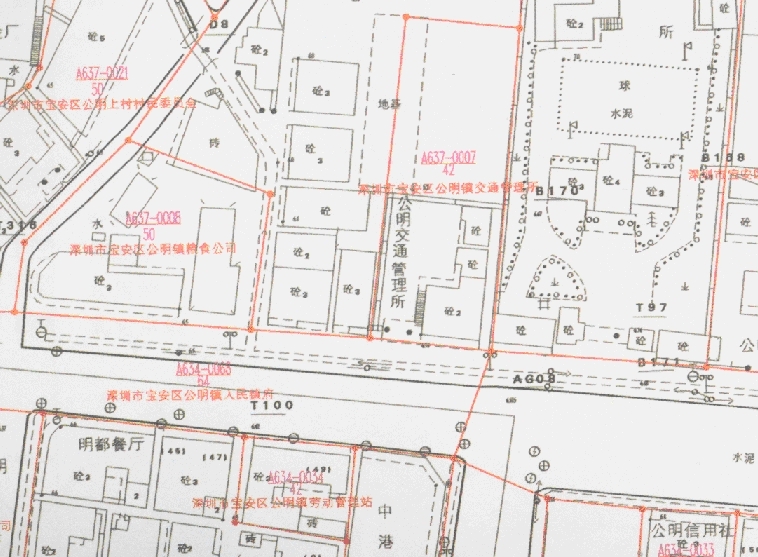 The modern cadastre began in 1930s in China, served for taxes and ownership. The Land Administration Law of the People’s Republic of China, was firstly promulgated in 1986 and was revised in 1998, ensured that the ownership of land could be separated from the right of using. In most cases of cities, lands are state-owned, what can be assigned, sold and resold, leased or mortgaged is the right of using within a fixed term, for example, lots for residential use are usually assigned a use term of 70 years. China tried to initiate a cadastral survey and land registration program in several relatively well-developed regions in 1986. In the 1990s, a major cadastral survey and land registration activity was conducted in most regions of China. Its main objective was to obtain and record the basic data and attributes of every parcel, including land area, land classification, boundary, ownership, area of building and so on. In China, the Ministry of Land and Resources (MLR), formerly the State Bureau of Land Administration, is the state administrative agency for land and mineral resources administration, including cadastre and land registration. The State Bureau of Surveying and Mapping of China (SBSM) is an administrative agency of the Chinese Government for surveying and mapping, including cadastral surveying and mapping. SBSM takes charge of the national basic surveying and mapping work, the overall administration of the surveying and mapping profession. It also formulates the plans and technical standards for cadastral surveying and mapping, manages the verification of cadastral surveying and mapping qualifications, and certifies cadastral surveying and mapping results. There are corresponding organizations for land administration and management of surveying and mapping in every province, city and county. Some cities combine the department of land administration with the department of urban planning, and other cities with the department of housing. These institutions take the daily work of cadastral survey and land registration. In some cities, there are a few public organizations engage in land registration and cadastral surveying and mapping. There are about 6000 surveying and mapping institutions or enterprises in China, which are legally qualified in four grades. These professional institutions or enterprises of surveying and mapping must register in local administrative offices of surveying and mapping. For the time being, most of these institutions or enterprises of surveying and mapping are state-owned. Private enterprises are very few. There is a cadastre-related scientific and technical service network consisting of many professional associations and organizations in China. In the national level, the China Land Science Society (CLSS), the Chinese Society for Geodesy, Photogrammetry and Cartography (CSGPC), the Chinese Association of Geographic Information System (CAGIS), the Chinese Institute of Land Surveying and Planning, the National Center of Geomatics are some of them. There are many local associations of land science and surveying and mapping in some provinces and cities, which are often the group members of the national ones. The number of member related to cadastre is nationwide over 20,000. In China, qualifications for cadastre surveying are authorized by administrative offices of surveying and mapping. Relevant certificates are organization-oriented, so licensed only to companies or public services, not people engaged. Individual surveyors with required background of education and practice may apply for and be issued professional qualification certificate, but not license for undertaking cadastre surveying on their own. The education system for land management and cadastre surveying in China is multi-level, including higher education, secondary education, vocational education and adult education. Several universities offer bachelor’s and master’s programs for land resources administration, surveying, mapping and geographic information system, for example, Renmin University of China, Wuhan University, Nanjing University, Tongji University, they enroll about 3,000 students each year in these domains. Doctoral programs are also available in some universities. Technical schools have mapping, land-surveying courses for training technicians for cadastre. Both universities and secondary technical schools may offer short-term training and correspondence training courses. In China, land market grew and gradually matured only after the open-door policy implemented, so there was no operational cadastral system before that. It was in 1986 that the State Bureau of Land Administration (now assembled into the Ministry of Land Resources) started the re-establishment of cadastre in China. The multi-purpose cadastre and land information system have gradually been established, and put into use. Although the concept of multi-purpose cadastral system is widely accepted, the main applications of such systems are in land administration, the major users are governmental services. Roughly we may distinguish two types of cadastral systems in China, one recording only land parcel information, the other integrating land and relevant house information together. As land ownership in China is state-owned in city (identified as urban area) and collection-owned in countryside (rural area), most cities have established their cadastral systems for state-owned land, but not so for collection-owned land. Besides, most systems in China are digital with GIS technology. A cadastre is the core or basis of a land administration system and is normally a parcel-based and up-to-date land information system containing records of base information (e.g. location, area and use) and interests in land (e.g. rights, restrictions and responsibilities). A cadastral parcel, the basic block in Chinese land administration system, is usually recorded in geographical coordinates. As the cadastre, managed by the government, has force adeffect and present status about land, additional information is often stored, such as land tenure, ownership, leasehold, easements, mortgages and different types of common, communal or customary land tenure. Title registration is commonly incorporated into cadastre system. Since 1978, China has transformed its planned economy system into a socialist market economy system. The land ownership is vested in the whole people, the citizens are entitled to land use rights. Each household farms on individual parcels of land by collective ownership in rural area. A new system of land management has been established based on cadastral survey and land registration since the Law of Land Administration was issued in 1986. Then the Regulations on Cadastral Surveying and Mapping, the Cadastre Map Format, and the Manual on Cadastral Surveying and Mapping are also issued. The initial cadastral investigation and land registration were conducted in most cities of the country in 1990s. Land use inventory was partially conducted using aerial photography, orthophotos, and some topographic maps. A unified system of registration and certification of land rights was primarily established. The modern cadastral system includes many jobs such as land investigation, land use and condition inventory, land classification and land appraisement, land registration, land statistics, management of cadastral files, establishment and management of cadastral information system and more. New technologies are widely used in the whole job, for instance, the digital surveying and mapping, geographic information system, digital archives, etc. Most of cities set up the cadastral information systems or land management information systems. 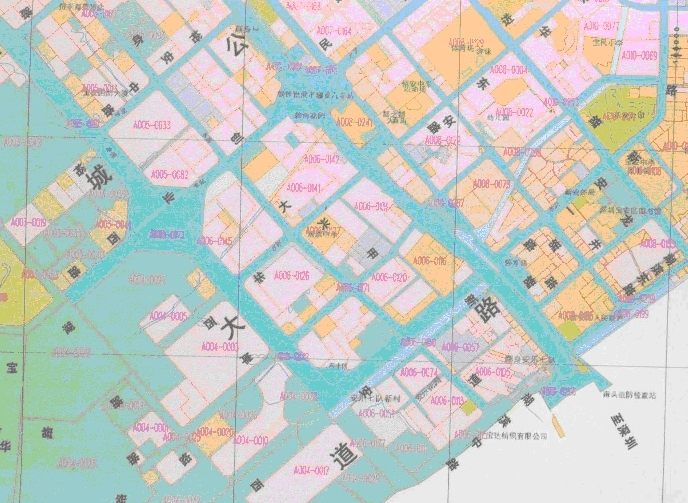 In China, the cadastral maps are divided into many layers such as a parcel map, a distribution map of parcels, a land classification map and more. As an administrative procedure, a parcel map must be generated when a land certificate is issued to the owner or user of a parcel within China’s land administration system. As a result, parcel map-making is very important in the process of land registration. Paper size and the scale of the parcel map can be standard, or specified by the operator. Generally, a parcel map consists of three parts, position and surroundings of the parcel, coordinates of its strikes, and vital attributes of the parcel such as the owner, area and land use. The position is graphically described by the elements of the boundary of the parcel. The surroundings include the construction, road and more. The standard cadastral map, a distribution map of parcels at the scale of 1:500, 1:1,000 and 1:2,000, is the fundamental information for the cadastral management. There are boundary of parcels, identified parcel number, owner and some topographic features on the maps. The cadastral map is often made with the cadastral information system. The cadastral database is usually composed of the layers of parcel, owner, registers, building, road and topographic feature and more. Figure 1: The parcel map of H113-0029, Shenzhen city, Guangdong Province. The followings are three examples of different maps from Shenzhen city, Guangdong Province, respectively a parcel map (Fig. 1), a distributed map of parcels (Fig. 2) and a land classification map (Fig. 3). Fig. 2: An example of the distributed map of parcels in Shenzhen city, Guangdong Province. The Spatial Data Infrastructure (SDI) has been planned and partially developed for several years in China. Usually, the data product has four modes, which is Digital Orthophoto Map (DOM), Digital Elevation Model (DEM), Digital Raster Graphic (DRG), and Digital Line Graphic (DLG). The DLG-mode topographic map is established at the scales of 1:1,000,000, 1:250,000, 1:50,000 and 1:10,000 nationwide. The larger scale topographic databases, at the scales of 1:500, 1:1000 and 1:2000, are set up in some cities and developed areas. The digital cadastral data is not fully covering the nation, and is produced only in cities and some regions, so they do not make a complete layer in SDI. Figure 3: An example of the land classification map in Shenzhen city, Guangdong Province. 1. Lacking of enough financial support and staffing capacity: The demands for cadastral systems to support effective land markets, which in turn support economic development, become more and more urgent. Cadastral survey and land registration, therefore, must be accomplished accurately and quickly. The financial support and staffing capacity are scarce in some local government, especially in rural areas. It will make a strong negative impact on carrying through cadastral works. 2. The supporting law system for sharing digital cadastral data must be strengthened: Although some cities have developed their digital cadastre databases, these databases remain the luxury of government services, they are not open to public because there have been no specific policy normalizing the use of these data. 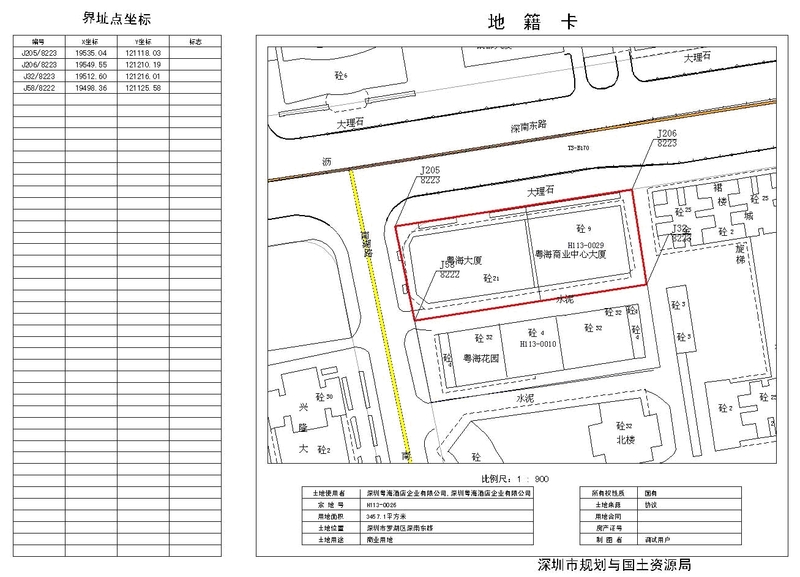 State Bureau of Land Administration of China, 1993, Rules of Urban Area Cadastral Investigation. State Bureau of Land Administration of China, 1996, Rules of Land Registration. National People's Congress, 1998, Law of Land Administration.